Muay Thai class Toronto school with a fresh approach to ring-ready fitness, authentic kickboxing skills, and beginner-friendly classes. Unshakeable Will, while gaining Unmatched Skills and tons of Fun in every class! Sign up for our Muay Thai class Web Special for 3 weeks of unlimited classes or contact us to schedule a free trial class – (416)440-2828. Discover an exciting, safe, and beginner-friendly Muay Thai class Toronto men and women rave about for being adult-friendly, exciting, inclusive. First off, we recognize that most adults are not looking to becoming professional muay thai fighters. We offer a muay thai class that tests your physical and mental boundaries, while providing a rewarding and exciting experience. You will develop amazing self defense skills and enjoy an amazing workouts in every muay thai class you attend. Common Questions About Our Muay Thai Class Toronto school (T.H.A Martial Arts). Is this a cardio kickboxing type of class? Not at all! You will be training in a muay thai class with knowledeable instructors and coaches. Beginners start out in a level 1 muay thai class that focuses on helping you develop a solid martial arts foundation while also getting in better shape. Our level 2 and 3 muay thai classes offer combative tool development and ring applications. Training at T.H.A Martial Arts is a safe, fun, and awesome workout experience. Each level 1 muay thai class Toronto Hapkido offers is well-organized to be beginner-friendly. We also have a caring team of coaches and instructions who work hand-in-hand with you until you get more competent with your training. The lessons are structured to accommodate to new students to our classes. Scroll down to book a trial. We will follow up to assist with scheduling your first visit. If you prefer a long trial period, you have the option of starting with our no-obligation 1-week or 3-week trials. We don’t want injuries either. Our safety record in our muay thai classes is commendable because we forster a culture where everyone looks out for one another. Also, before embarking on an activity like this, it is always a good idea to consult with your doctor about previous injuries or health concerns. How much is the muay thai class? As martial arts professionals we hold ourselves to the highest standards in all aspects of our operations. We offer a variety of membership options – including bi-weekly, monthly billing, and class package options. 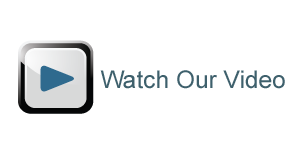 We also use a billing company with short-term membership agreements that allow you to cancel a membership with a simple 30-day notice. Are there women in your muay thai classes? Yes there are. We have been noted to have more women at our school than the average muay thai class Toronto gyms typically have. Women also make up a good size of our staff and instructor team. T.H.A Martial Arts is committed to offering an inclusive muay thai class culture that is not gender dominated. Test-drive our Muay Thai class… discover the T.H.A experience. Not a problem. 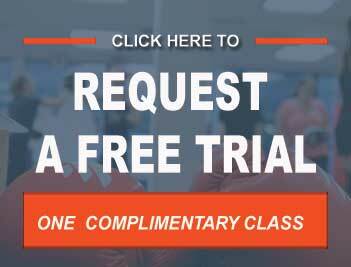 You can request Information on Class Times, Bookings, Membership Prices, or to learn about our Trial weeks! We’ll also share some of our insider training tips, technique videos and fitness reports as a bonus. 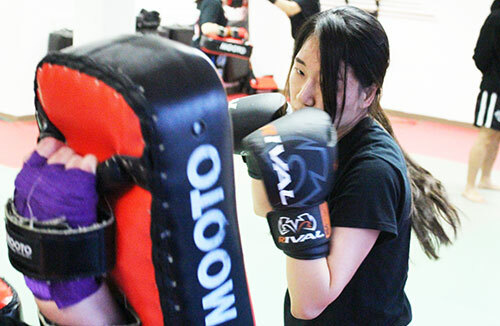 What makes the Muay Thai class Toronto Hapkido Academy offers much different from other gyms? Each muay thai class Toronto Hapkido Academy offers is more than just grueling workouts and simple Kickboxing pad combinations. You’ll enjoy a total body workout; learn authentic muay thai skills, and have a ton of fun while you’re at it. well-organized muay thai class times to choose from. Adult-friendly lessons that a exciting, offer a great workout, and empowering. 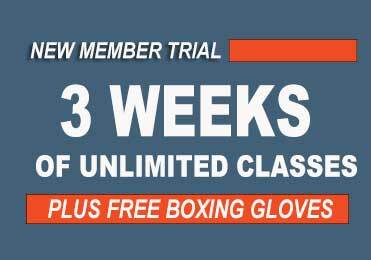 1-week or 3-week trial choices for new members and flexible membership options. Authentic muay thai classes with ring-ready applications from the get go. 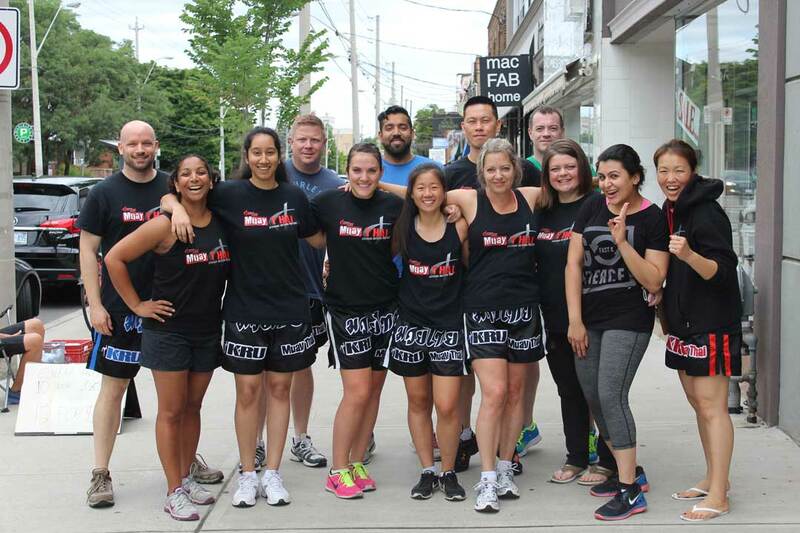 An Adult-friendly Muay Thai Class Toronto Women and Men rave about. It’s the first of its kind that includes a progressive rank structure, cutting edge workouts, and technical skill development. See, we understand no one wants to join a muay thai class Toronto folks would be concerned about for being scary, disorganized, or boring. Our muay thai lessons are functional, and fresh each time you attend. The science behind the training is also well-organized to be not only safe and engaging, but also lots of fun. Beginners start out in a Level I muay thai class, designed to help you to go at your own pace. Your workouts are intense but well-organized to allow you to gain fundamental Muay Thai skills while getting in awesome shape. Muay Thai is regarded as the most efficient form of kickboxing by Mixed Martial Arts (MMA) professionals. Contact us today to book a trial class… You’ll love what we do!